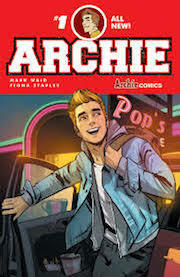 Archie and friends are iconic and a reboot to the modern day could have been an utter disaster. The result is actually the opposite: a totally entertaining, plausible story line that keeps the best aspects of the original without making it seemed forced. A title that will be a stayer. Regular readers will know I’m an unadulterated fan of this series (check our review of issues 1-5 here). So I’m pleased to hear that a trade paperback of the 8-issue series from IDW is hitting shelves on the 29th April. I’ve had a quick look through the TP and it doesn’t disappoint. Check out the IDW website next week for more details. Not a dream, not a hoax, not an imaginary story. Well, actually, it’s kinda one of those. Stan Sakai is back after a break from looking after his sick wife, with a superb Usagi Yojimbo story. We have come to expect over the 30 years (!) Stan has been crafting Usagi stories, particular styles of stories from the master. 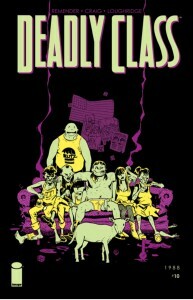 Not so much predictable or formulated, as a welcome dip into a familiar world carefully crafted with long term appeal. Senso (War) has introduced something we don’t get to see so much in the world of Usagi. Something unexpected: an outright WTF! Because the way the story was developing, as much sheer fun as it was to read, the question in the back of my mind was, This Changes Everything! And I mean in a B.P.R.D. monsters now rule the world kind of way! He’s gone down a path that is impossible to back out of, without turning it in to a hoax story of some kind. Senso starts out with a battle scene between Lord Hijiki and an adult Lord Nobiyuki, so most of issue 1 reads like a welcome return to the world of Usagi after a long break. Then things get weird. Senso has read like a ‘Usagi: The End’ story, with familiar faces meeting their deaths in glorious battle. But this is all against the backdrop of the story being invaded by The War of the Worlds. 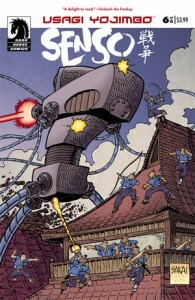 Everyone in Usagi world now faces survival against the seemingly indestructible tripods of the alien invaders. Gen, Jei, Chizu, the Komori Ninja clan, all die. Even the evil Lord Hebi, faced with the depths of Lord Hijiki’s evil, dies a noble death. It looks like no-one is getting out of this story alive! Amid the carnage, Usagi snatched a moment with Tomoe in a very Japanese exchange regarding what ‘could have been’, and the price of honour in the face of feelings for each other. So, when faced with a larger-than-life threat to everything in Japan, even in anthropomorphic feudal Japan, there’s only one way to respond. Jump in to a giant robot suit and go toe-to-toe with the enemy. Enter…Usagi Gundam! It just keeps getting better – issue 6 is a glorious homage to every Japanese monster movie. It’s East vs West in a funny animal comic, and Usagi was enjoying every minute of it! Well, until everything crashed down after immense property damage to Edo, but that’s to be expected. Oh, and Usagi dies. Did I mention that this wasn’t a hoax story? Or a dream? Or an imaginary story? Well, here’s the final twist. This isn’t a Usagi Yojimbo story. It’s a Space Usagi story! How does that work out? I won’t give everything away, you’ll just have to read it for yourself. Needless to say, Stan Sakai has returned to Usagi Yojimbo in style. He has mixed everything we have come to expect with some thoroughly enjoyable liberties, and tied it all up with everything making perfect sense and all is well again in Usagi world. I’m very much looking forward to the re-launch of Usagi Yojimbo, and maybe even a few more WTF moments too. I don’t read comics for laughs, expecially Deadly Class. 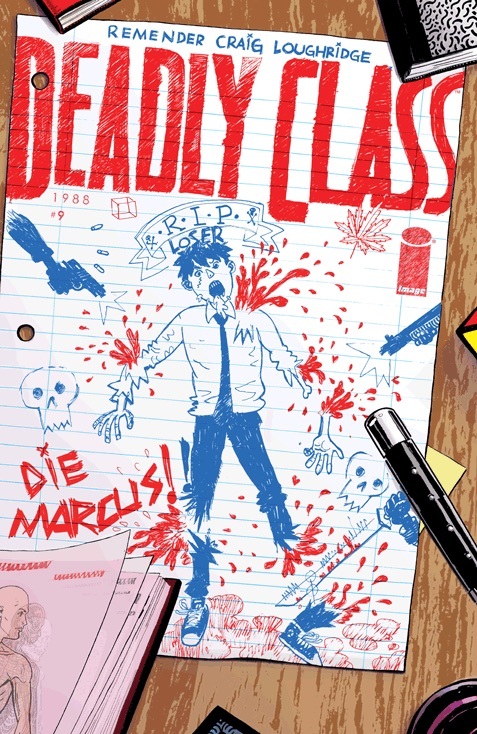 Issue #10 keeps a frenetic pace, but still manages to add a scene that had me laughing big time. It’s not all laughs though and again I’m hanging for the next instalment. Red Baron on first impression is an engrossing visual feast. And that first impression never goes away. The immediate standout feature of this series is the lush artwork by Carlos Puerta. At times, especially when detailing locations, the artwork showcases a photo-realistic level of detail. This eye for detail remains constant, even when rendering motion blur in action shots for heightened visual drama. 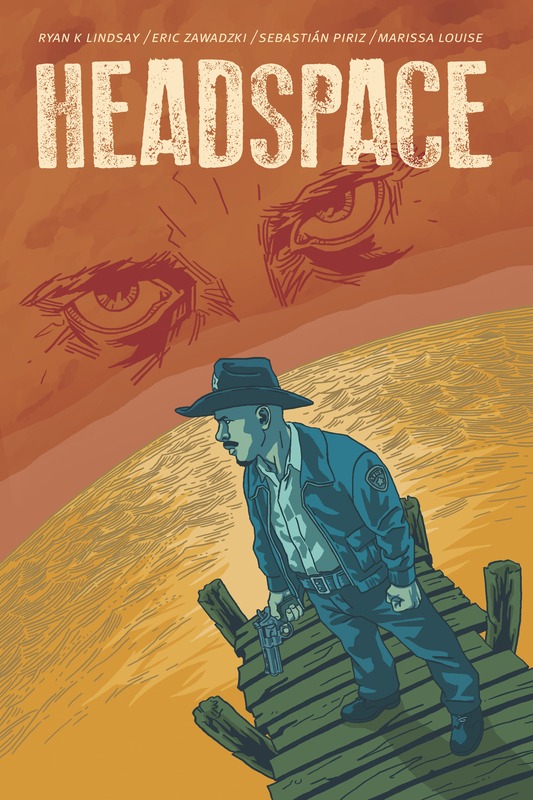 It’s all the more remarkable as the graphic narrative is entirely free from sound effects, freeing up each panel from clutter and drawing in the eye with mesmerising sweeps, whether it be aerial shots over landscape, or a boxing match. This book doesn’t entirely fail at reading like a slideshow, which is an easy pitfall for a sequence of panels that are pretty much frameable in their own right, but for the most part it’s not an issue. The ultra-thin gutters are precision separators of the panels, and add to filling the page, making each page a visual pool to drown in. It certainly helps that the books are being published in the larger European volume-size editions. Which brings me to the second impression reading this series: the balance of picture and words. There’s a sparseness of words that, together with the freedom from sound-effects, lead to a very modern feel to the book (it’s an English translation of a 2013 comic, so it is actually a very modern comic, unlike many other Cinebook translations). The similarity however ends there. I tend to feel a bit empty after reading many ‘modern’ comics that seem tailored more for tablet readers than anything else. Here there is an intriguing story at work, using an economy of words that drives the artwork along – there is a sense of satisfaction after having read a volume. And so we come to the second volume of the series. In Book 1: The Machine Gunners’ Ball, we are introduced to Manfred von Richthofen a.k.a. The Red Baron. This story could easily have been a straight historical war story and been none the poorer for it, but in this fictional account, we are introduced to a plausible fictional rationale for the Red Baron’s aerial success. It turns out that Manfred is in possession of a ‘supernatural’ sense, not unlike a mutant power, that acts like a Spider-sense and involves a low-grade telepathy as well. Manfred can sense danger, can read the intentions of an enemy pilot, and so can anticipate actions and counter them. This gives him a ‘supernatural’ advantage, not just in the air, but in any form of combat as we find out in the boxing match at the end of this volume. There’s certainly no attempt to turn this into a post-human manifesto – Manfred just accepts this as something to take advantage of in his own sadistic way. There are two things to look forward to as the series progresses. First, how much more we learn about Manfred’s ‘supernatural’ power, and the cruel use he will put it to, and second, the wait for the Fokker tri-plane, the Red Baron’s signature aircraft. 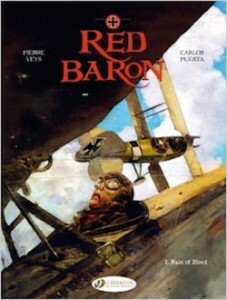 I’m drooling in anticipation over Carlos Puerta’s visual depictions of the classic Red Baron in action. The story so far is reading like the origin of the Red Baron, with marvellous visuals over Ostund, Champagne, Verdun and Luxembourg in Book 2 alone. I am a sucker for fine European comics. And war stories. So Red Baron is another fine series to add to the already impressive output by Cinebooks. Pree release below in full. I can see this going starkly one way or the other – they’ll sell gangbusters or flop spectacularly based on the remaining level of public interest in these characters. I like that the legacy numbering will be maintained inside the issues at least. The Artist’s edition will be interesting to see. San Diego, CA (January 22, 2015) – IDW Publishing is proud to announce that they will debut a new collection of Disney Comics beginning in March 2015 with the publication of Don Rosa’s Life and Times of Scrooge McDuck Artist’s Edition, followed by four extra-length comic series launches in April, May, June, and July. April sees the debut of Uncle Scrooge #1, which will feature the best tales from creators around the world starring the iconic tycoon adventurer. 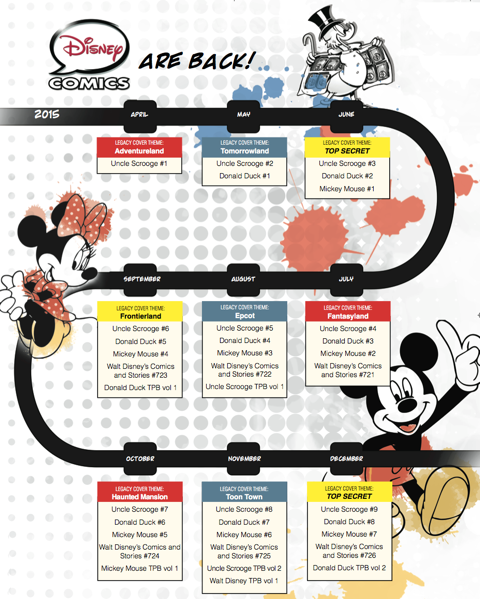 Donald Duck #1 launches in May, Mickey Mouse #1 in June, and in July, Walt Disney’s Comics and Stories will maintain the original numbering and launch with #721 as the first IDW issue. 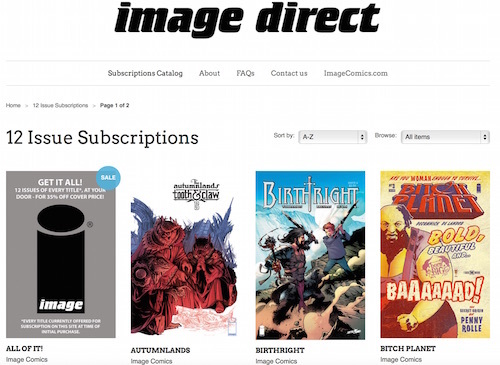 All four premiere issues will offer 48 pages of content for $3.99, with subsequent issues offering 40 pages per issue for that same cover price. June 2015 – So special we cannot tell you yet! December 2015 – Top Secret! The new IDW titles including Donald, Mickey, and Scrooge will be #1s, but will continue their classic legacy number inside the issues. In addition to the monthly comics released in print, IDW will also be bringing Disney Comics into new territories with Micro Comic Fun Packs, and subsequent Artist’s Editions, too. Details on titles and release schedules will follow. Like You’ve Never Seen Him! 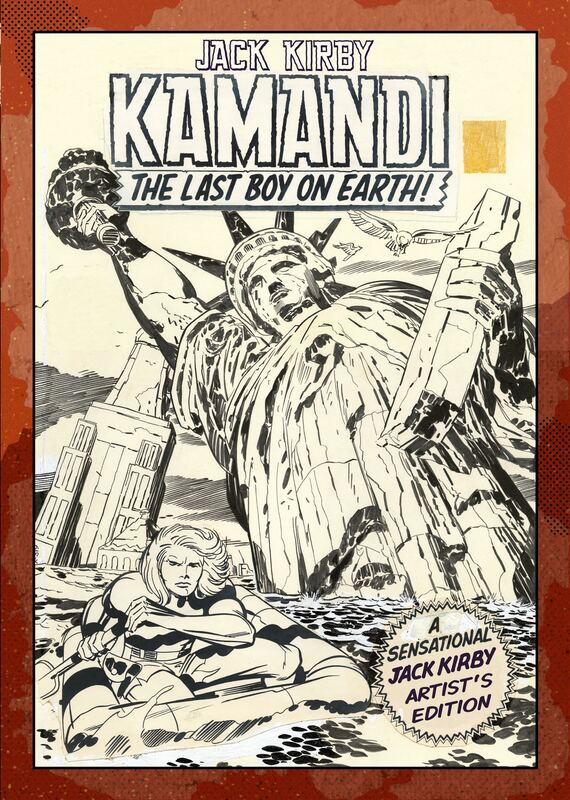 San Diego, CA (January 9, 2015) – Of all Jack Kirby’s celebrated DC Comics creations, perhaps none has struck such an enduring chord with readers as his post-apocalyptic adventure Kamandi: The Last Boy on Earth. Now, to the delight of fans far and wide, this much-anticipated series joins the esteemed ranks of Jack “King” Kirby’s Artist’s Editions! Long after the age of super heroes, Kamandi triumphed as humanity’s last beacon in a world ruled by beasts. Traveling the remnants of civilization after a great disaster, the Last Boy on Earth found both friends and foes among the irradiated animal kingdom that now inhabited the world. 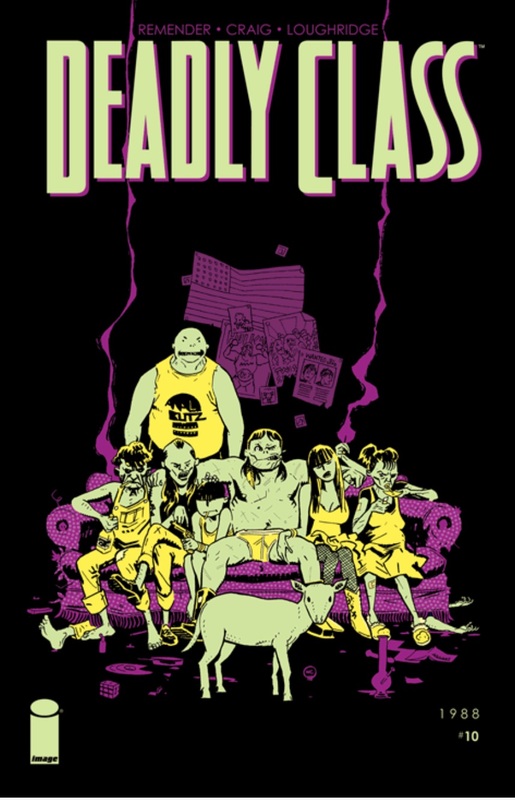 Written and drawn by Kirby, the series was unique to comics and completely unlike anything else readers had seen. 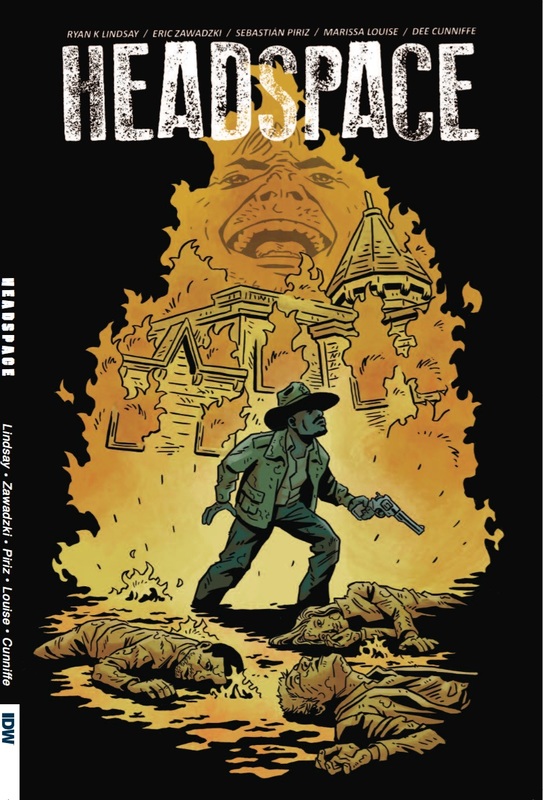 This enthralling Artist’s Edition features some of the most influential complete issues from the revered series, including issues 1, 2, 5, 6, 7, and 9, along with additional covers and other bonus material. At 160 pages and measuring 12” by 17,” this Artist’s Edition will amaze and delight fans this May!